On April 25, 1917, a baby girl was born in Newport News, VA. One hundred years later, her name is synonymous with both jazz and The Great American Songbook. Known to many as “The First Lady of Song,” others know her as just Ella. 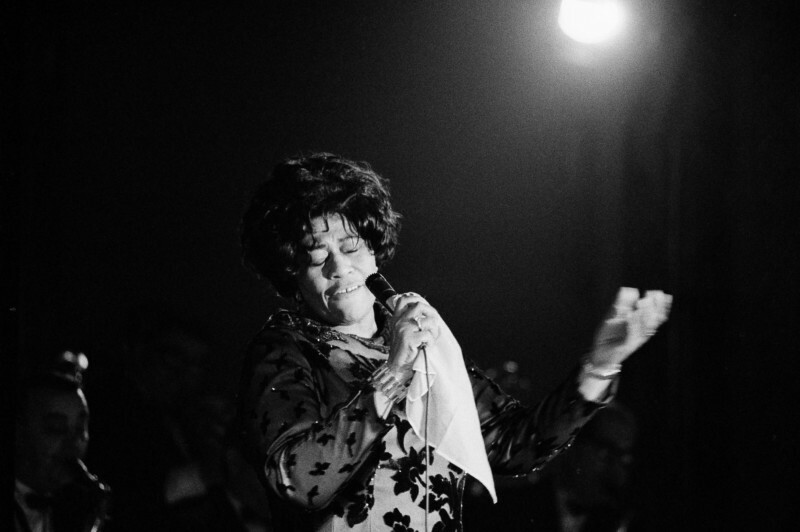 WNYC’s Julian Fleisher invites you to celebrate Ella Fitzgerald’s centennial birthday with the help of nine-time Grammy Award winner Janis Siegel and The Harlem School of the Arts’ Dorothy Maynor Singers. Join them for musical performances, talk about her influence and celebrate the last 100 years of Ella Fitzgerald. **We regret to announce that Dee Dee Bridgewater, originally scheduled to appear, will be unable to attend due to unexpected and unavoidable circumstances. Can’t make it in person? You can also watch a live video stream here beginning 7pm. Internationally acclaimed jazz singer Janis Siegel is a founding member of The Manhattan Transfer and a nine-time Grammy Award winner. The Dorothy Maynor Singers is a group of intermediate and advanced vocal students named after the internationally acclaimed concert soprano Dorothy Maynor, founder of Harlem School of the Arts (HAS). HSA has blossomed into a thriving, extraordinary cultural institution that has served more than 50,000 students over the last 50 years, annually working with approximately 4,000 young people from across the greater New York metro area.